I’m so happy, not only because of the sunshine the past few days, it is VICTORY !! I won 2 and a half battle! I’m so excited, because it took us years! And now, it is reality! We won the legal proceedings!! What happened? We had an issue for a few years with the new owner/’landlord’ of our shop where I took care of the communication between the parties. They want us to leave, so that they can sell the property. They tried everything to succeed. Last week the judge rejected all the points which the counter-party claimed for. This was one of the factors I delayed my graduation internship abroad. What if two powers comes together. One, they would dominate the world or Two, it would turn out into a historical battle. I think most of the times, if a so-called ‘negotiation’ failed, mankind ought to fight before they make the deal. Just like animals. Showing their power and territory is the way. As Sun Tzu stated, all warfare is based on deception. Now, what if you see your opponent rush into the battlefield, let say a 150.000 army in sight. You would prepare for that hopefully. But what if you cannot see your opponent coming? If the other half of the army is coming from opposite direction? You should not be underestimated too. Your army counts a 100.000 large army in the defense. As the other attacks, you remain calm. When the troops arrives, steps on your ground, it is time to fire a flaming arrow into the area soaked with flammable oil and let the fight begin. I think, these are the most deadliest warriors on Earth. It requires intensive thinking power. Discovering intentions and war tactics, making the decision when to fire. It is about decision making while in the middle of the Battlefield, a competitive battle based on strategies. Dying without noticing who killed you . . it could have been anyone, from anywhere, just like a backstabber. He wouldn’t let you expect that, right? The opponent is really though. There are not many of them on this planet. It is nice to have battles in life. To me it is important to learn from. A battle never ends, it just start another warfare. My conclusion of this half the battle. If someone is trying to pull you down, you should be proud of it. Because it means only one thing that you are above them. This time I have chosen for this Inspirational video to encourage you, empowering your strength and Courage. Hope that you’ll like it. 3 Feb. 2011 – How do you celebrate the Chinese New Year? 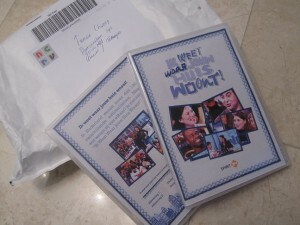 This was one of the questions they asked me on the Dutch National Radio interview. I volunteered bringing people together as a performing artist, co-organizer of this wonderful cultural celebration of Chinese New Year event at RASA, theater for World Cultures bringing them joy and happiness. Of course, Chinese New Year is less amusing then in China. But we try to make the best out of it! We should enrich culture! Chinese New Year is the most spectacular day of the year. 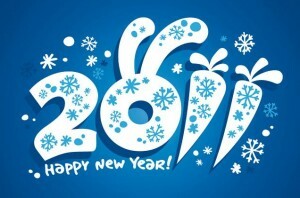 Everybody in China is celebrating it, fireworks, a lot of good food and traditional dishes, snacks and more. The sphere is really nice. Married couples give red envelope with brand new notes inside, known as Hong Bao in Mandarin and Lai See in Cantonese, to unmarried, most of whom are children. A gift which is given during holidays or special occasions. The red color symbolizes good luck and ward off evil, known in Eastern countries. A lot of happiness and joy, family and friends come together and have dinner. 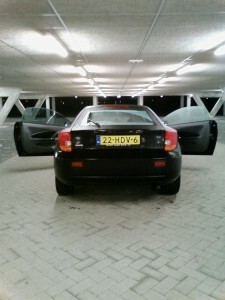 This morning I took Dark Angel to the car-wash. She was dirty, so I took her to a shower. While driving through the wash lane another TV programmer called me. The situation made it quite funny. 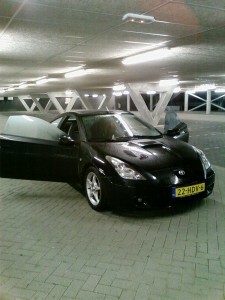 Now she’s clean & shiny I immediately drove to a college in Alkmaar, which is about an hour driving from Utrecht. 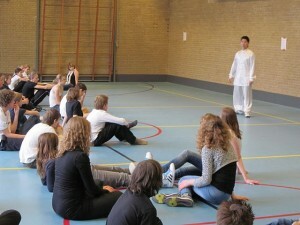 There I had to give a Kungfu workshop to the VWO pupils. They had a China theme and different Chinese cultural workshops. This college offers the subject; Chinese language. There should be more of these schools in Holland. This is a great opportunity for the new generation. When I was in college I didn’t had this wonderful offer! Here are some pictures, there were 55 teenagers! Wow, this is amazing. I didn’t had a microphone but still it went really good and they were all enthusiast about this art. 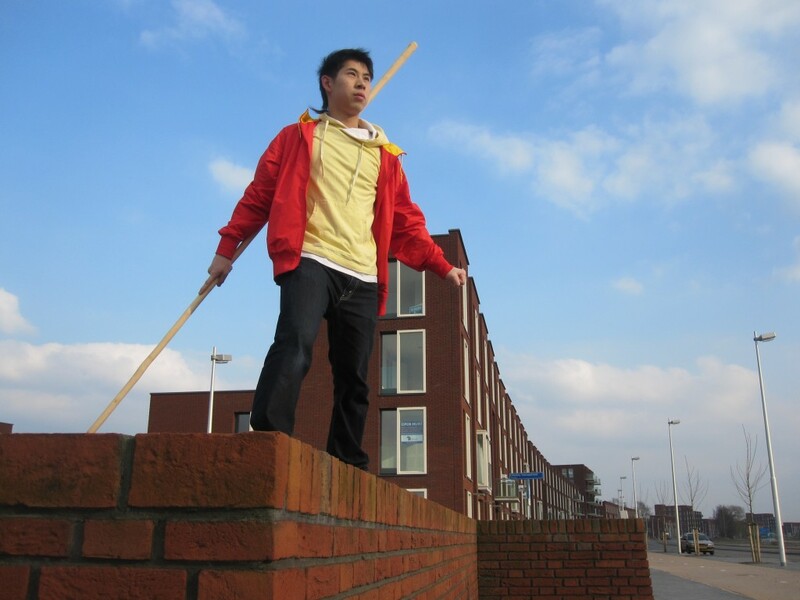 I’m happy that I also emphasized on the philosophy and culture of Chinese Kungfu, instead of the physical movements. It is important that the youth learn to know their body. Balancing the body without errors. That, what is out of balance, is dangerous. This is the same in life. Overdoing or not living in harmony with nature, is risky. Learning Kungfu keeps them fit and healthy. Purifying the mind, and to be aware of the surroundings by forgetting them. It is an art that comes with a deep philosophy. First of all, the pupils are all stiff, and not flexible. Except for some girls in the group, but they need strength. You have to loosen your muscle to relax and adjust to the flow of the movement. If you want to eat, you have to open your mouth right? 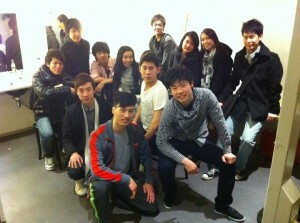 It was amazing to see such a big group of Western students practicing Chinese Kungfu, it gives me self-satisfaction. I am proud of you guys! After this class I had to rush back to Utrecht. The weather was fine, so I enjoyed driving. In Utrecht I had to go to the RASA Theater for the Wu Dao Dragons performance in the evening. 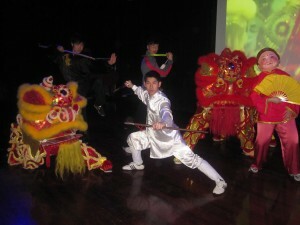 This event was organized by Kosmopolis Utrecht, Rasa, ACSU, Wu Dao Dragons, Stichting Lai Yin and local entrepreneurs. But we had to do the rehearsal and technical stuff. I didn’t had lot of sleep, because I was editing the Music Video for the performance till deep in the night. Everything was a bit in a hurry, but it was a good show. I really appreciated the warm support and enjoyed the sphere. It was definitely different backstage, but that is the perspective of the performing artist. Although the technical problems and preparation, I have to say Congratulations Wu Dao Dragons! It was really good to see people enjoying the show. If the our music video worked well on the background, it would be even better! You know what, it is always the technical problems, it is not the first time. Last year with the China Festivals the music also went down when Koon hit the floor. Guess what, this is the second time! And we changed the sequence, but what a coincidence he had problems with the music when he was doing his solo. Yup, I just find it really sad for him but appreciate his professional spirit and persistence. To me it was quite stressful fixing the technical problems with the technician, because you want to concentrate on the performance. It needs a lot of focus. I’m happy to have Leon and Weije here as our presenters, both good friends of mine. In the back of this picture you see Bas as the DJ. We all know each other and that is so beautiful about it when we combine our strength we can make something together, which we should be proud of ourselves. Later that eve, we had another performance. 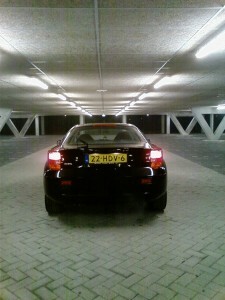 This was for the club party at the same location. Finally at 22.30 we can change clothes and have a drink and a chitchat with our friends in the club party. Pack in and time for some pictures 😉 So this was my Lunar year instead of having dinner with family. Stressful but exciting and self satisfying. When I hear the applause and the smiles I’ll forget all the hard work. 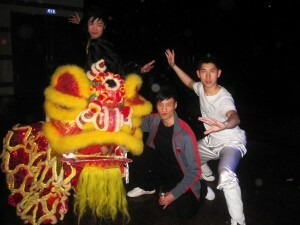 I would like to thank everybody who came to see us, our performance and participated the Chinese NY event. The sphere was really great. I love it! Special thanks to my sister & Ck for the help. It was a heavy day, fully planned, workshop and two performances.. and all the other organisational things and problems between. There are times that I am so stressed by the pressure, but I never had given up for the things I did. During hectic and stressful times, I’d like to relax my self by taking a hot tube, I try to stay under the water as long as I can hold my breath. This will loosen me completely. This is the way I relax & recharge myself. Another good help is a nice massage. Burn a home scent and put on relaxing music. That will calm you down by feeling, smelling and hearing it. Maybe it will work for you too. I get my inspiration from the daily life and I’ll think about it when I go to bed. In my sleep, it’s processing the memories and fantasy. Thanks for the support everyone! It was really fun and so happy to represent the Chinese group. 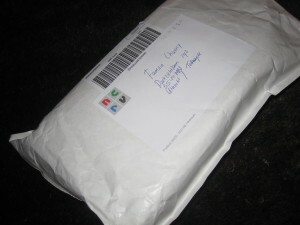 NCRV gives out 5 DVD copies for the team members. I’ll try to get approval to put it online at www.aCreations.org so that you guys can check out online too! http://alexcheung.nl/wp-content/uploads/2016/04/logo.png 0 0 alexcheung http://alexcheung.nl/wp-content/uploads/2016/04/logo.png alexcheung2011-02-18 17:52:102011-02-18 17:52:10Woohooo, NCRV Package Post!! It was way too early this morning! But it was nice to see how a group of Chinese exchange students from all different cities in Holland set up a big show in Theater De Muze in Noordwijk to celebrate the Chinese New Year. The Chinese Embassy and local news were present. Unfortunately, I don’t have any video recorded, cuz the person overslept and then the other technician guy who promised me to do it forgot to record our Wu Dao Dragons show!! Nooooo, hopefully there will be some video footage online soon, there were lots of people filming and taking pictures. This afternoon, at a sudden moment, I stopped working. I felt that I should go out and take a break, not a Kitkat. I just shut down my laptop and took the keys and get in the car. 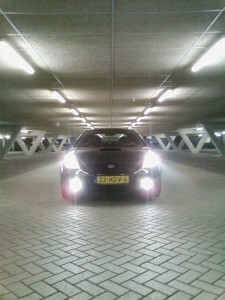 I started the motor, lowered the windows and drove around, I had no destination in mind. If you say nothing does it mean yes? In Western world they say, silence is consent. But that is not true in Asia. At least, if you deal with Chinese people, what they literally say doesn’t always correspond to what they mean. If you don’t say anything about it, does it mean you don’t know what is happening? Don’t be silly. We are no kids anymore. In this way, I was a bit upset. 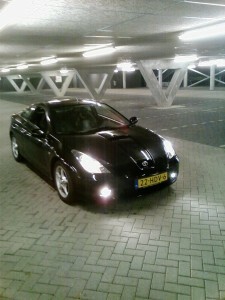 You know why my Celica is named ‘Dark Angel’? Of course it matched the color midnight black and it IS a beauty. But perhaps, because she has never left me alone in the dark. I can go anywhere I want, free as a bird. She will take me there. Because she is listening. While driving, I had some flashbacks. Another matter, I have some things still need to be cleared up with a girlfriend of mine. After a row of misunderstandings, we still didn’t talked about it which I find pitiful. The point is that we both care about each other, and the intention is good. But it didn’t went as I wish to. I still believe in it, and I will not give up so easily. I think that is very important to lots of friendships & relationships. Talk to each other. Now I have a lot of friends. Good friends ya, but sometimes I’m wondering how many of them that I can really hook up for no reason? I think still enough. Can I bother you for a moment? Not much . . Actually, I don’t have a reason.. why, why do we need a reason to connect. Can we just . . no. I can imagine these situations. Well, I should be happy with the result I had. You know, some people think, I am one big happy guy. Because I am often making fun, happy as I want to be. I mean you can choose to laugh or cry or look very angry, but does it make sense if you do not communicate? Now that is very important to remind yourself. Did I communicated? 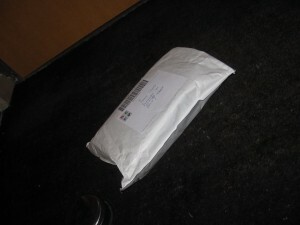 Is the message delivered as it should. Even the damn news can be distorted, the mass media. And you are talking about some individuals?! Communicate and Listen! This is what I want to be more aware of and hopefully you guys also do that to share or to prevent misunderstanding. Actually, it doesn’t matter you are rich or poor, lucky or not, everyone has to overcome difficult situations and manage to solve problems. That is the reality of life! For example if I only post good news, you will never notice what I really went through except the good things. So, what I want to say is to be aware of this issue. I often ask people, what cost it to be happy? Think about that. I grew up surrounded by friends, which makes me very lucky. To me, friends are valuable. It is a very important part of my life. It gives more meaning to life sharing stories, helping eachother and remembering the precious moments. I can’t imagine the situation when people are looking for friends but they don’t have any. It must me a terrible feeling. I would recommend everyone to go out and seek. And very important, notice your current friends. Make some time free for your old friends and stay in touch. After a very nice dinner you noticed the delicious flavor and wrote it down. A) You will only stick to that flavor. B) You will try new flavors when offered. C) You will seek new flavors. I’m a curious person, so that makes me definitely a C. I enjoy the process of discovering new flavors, and I like to share and connect them. In this way you are not close or self-minded. 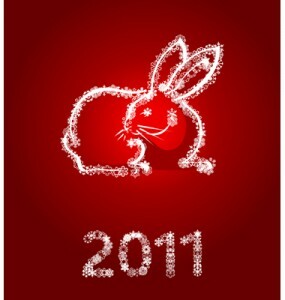 In Chinese Horoscopes 2011 is The Year of the Rabbit. 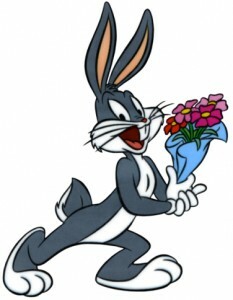 The Year of the Rabbit starts on 03 February 2011 and ends on 22 January 2012. It seems to be a good year to me, because I am a lucky rabbit. Chinese Astrological Signs use the lunar calendar and the Chinese New Year falls somewhere between late January and mid-February. Each year is named after the Chinese Horoscope Symbols, which are twelve animals that follow one another in a specific order, which is repeated over twelve years. These Chinese Astrological signs are the rat, ox, tiger, rabbit, dragon, snake, horse, sheep, monkey, rooster, dog and pig. As with western Astrology, each of the Chinese horoscope animals has a particular character and qualities. People born in a specific year are believed to take on the qualities and character of the animal after which the year is named. After reading this, I felt even more related as the Chinese rabbit. I would say, 70-80% of the things said matches with me. But that is personal. Find out how close you are with the Chinese rabbit. This article will tell you all about the characteristics of the Chinese Rabbit sign. What does the Year of the Rabbit have in store for you? The characteristics of the Chinese Rabbit are sensitivity, creativity and compassion. Preferring the company of others Rabbits are friendly and outgoing. They also try to avoid confrontational situations but if they cannot then Rabbits will take a calm approach, always with consideration for the other party. Rabbits believe strongly in friends and family and their calm nature stops them from becoming visibly upset. However Rabbits can be taken advantage of and can be a push over for sales people. People born in the Year of the Rabbit are not risk takers, preferring the safest option every time – this can make them miss opportunities. According to the Ancient Chinese the attributes of metal are unyieldingness, rigidity, persistence, strength and determination. Because Metal is very strong, the metal people can be ambitious, forceful, controlling and very set in their ways. They can make their closest friends and family feel shut out because they are frustratingly self-reliant and prefer to deal with their problems on their own. The metal person is also materialistic, business minded, good at organising and enjoys stability. However they also enjoy the good things in life and appreciate luxury. People born in The Year of the Rabbit can be home-loving, sensitive, tactful, sophisticated, careful, circumspect, long-living, ambitious, cultured, polite, artistic, considerate, intellectual, charming, graciously hospitable, modest and generally unimpeachable. The Chinese Rabbit can also be snooty, finicky, complex, self-centred, haughty to the point of indifferent, self-indulgent, hypochondriacal, over-conscientious, judgemental, self-righteous, guarded, deceptive and utterly condescending. 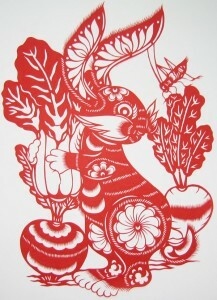 A person born in the year of the Rabbit possesses one of the most fortunate of the twelve animal signs. The Rabbit is the emblem of longevity and is said to derive his essence from the Moon. He sincerely believes it costs people nothing to be nice to each other and he will always make an effort to be civil, even to his worst enemy. For all his quiet and misleadingly docile nature, a Rabbit person possesses a strong will and an almost narcissistic self-assurance. He pursues his objectives with methodical precision but always in an unobtrusive manner. If there is anything he isn’t going to be accused of, it is that he is an obvious or thick-skinned person. He won’t make waves. The special trait that makes the Rabbit person a formidable negotiator is his inscrutability. It is difficult ever to assess his thoughts correctly. 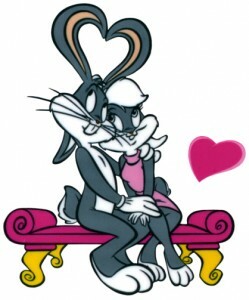 Now do you understand why Bugs Bunny always gets his carrots in all those cartoon strips? All in all, the Rabbit is one who really knows how to live. What’s more, he or she is more than willing to let live. He never likes to embarrass anyone in public. He is adept at the art of saving face, both yours and his, and if there is any way he can spare your feelings, he will. Have no doubt–he makes mental notes of your mistakes or progress. But if things are not serious or beyond redemption, he will goodheartedly let you pass. For this trait, he is well-liked and popular. An advantage of this philosophy is that the Rabbit makes few enemies and thus rarely gets into trouble. People respond by being generous to him and letting him pass, too. No one has a more sympathetic ear to lend you than the Rabbit (except the Sheep) should you need one. But while he is an excellent soother and compassionate listener, he will only take the role of a passive advisor. He is, above all, an intellectual, a realist and a pacifist. The Rabbit year is said to bring peace or at least a respite from conflict or war. Likewise, its native will do everything in his power to restore harmony or he will leave the scene. The Rabbit person makes a good entertainer and is a wonderful host. Pleasant and warm company, he has a good word to say of everyone. But don’t let that fool you. He knows more than he will say and you can easily recognize him by his finesse. He will be the best of friends so long as you take care not to ask too much of him. The well-groomed Rabbit is most compatible with those born in the Sheep year. They will share the same good taste and love of material comforts. Equally well suited will be a relationship with the Dog person or the honest, unimposing Roar native. The Rat, Dragon, Monkey, Ox, Snake and Rabbit will make good secondary matches for him. But he will not be able to tolerate the vanity or criticism of the Rooster, is unimpressed by the dramatics of the Tiger and unappreciative of the quick-tempered and mercurial ways of the Horse. There is no great inner struggle in the Rabbit’s heart between the forces of good and evil. He believes in his own ability to survive, relies on his own judgment and is at peace with himself. His is the sign most apt to find happiness and contentment. Rabbits are articulate and make great communicators, which make them sought after to give advice. They make excellent diplomats and politicians. Barrister, Judge, Counselor, Solicitor, Advisor or Secretary. They also make good writers, publishers, actors, fashion designers, therapists, doctors and teachers.